Lake Waiau is a small lake just below the summit of MaunaKea volcano on the Big Island of Hawaiʻi. It also is one of the highest lakes in the United States with an elevation of 13020 ft (3,970 m) and is the only alpine lake in the state of Hawaiʻi. This lake is very interesting both from a mythological and scientific perspective. For example, it almost disappeared in 2010 but has made a recent comeback during 2014 and now (2018) is still nearly full. Oh, and did we already mention the part where it also still isn’t clear exactly why the lake exists? If you are interested in visiting Lake Waiau yourself, we recommend the directions on the bigislandhikes website. Why is Lake Waiau a Lake? Believe it or not, but the existence of lake Waiau is still somewhat of a mystery! Lakes are rare features among the volcanic slopes of the Hawaiian island chain. The few basins that could hold water on these slopes are normally on top of permeable lava flows or cinder and ash, which favor the rapid seepage of precipitation. Yet, Lake Waiau exists. How does this happen? 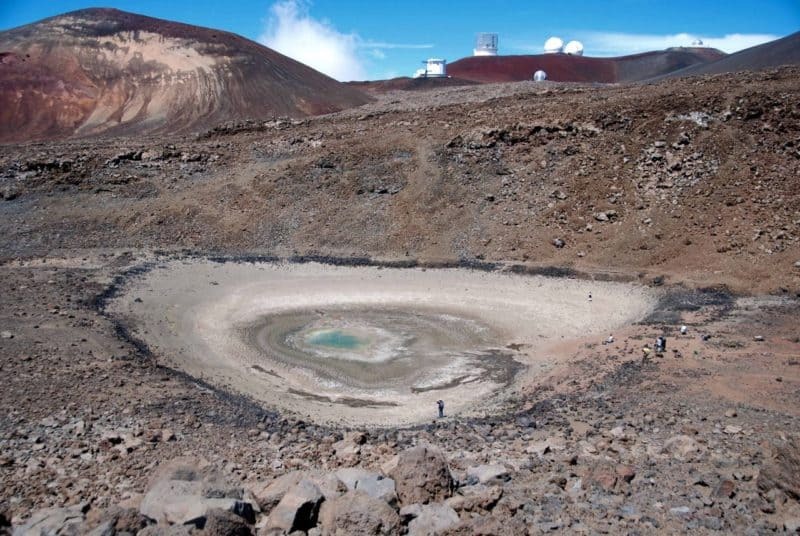 A possible explanation for the lake is that sulfur-bearing steam from MaunaKea altered the cinders and ash locally to fine clay minerals that reduce the permeability of the soil. This reduced permeability can account for the retention of water, which in turn leads to the formation of Lake Waiau. A second explanation involves the glacial past of MaunaKea. Long ago, the summit of MaunaKea hosted glaciers. Fine-grained ash beds are commonly produced when rising magma interacts with shallow groundwater or surface water. If an eruption occurred beneath glacial ice, these ashes could have been produced, and, up to this day, slow the seepage of water from the small crater. The last explanation posits that the impervious layer beneath Lake Waiau is made of permafrost. Permafrost has been found to exists at the MaunaKea summit cone. Shallow holes drilled 30 years ago passed through this permafrost at depths of 10 m (33 ft). Read more about these explanations in this volcano watch article (2003). Lake Waiau is located on Mauna Kea, more than 13.000 ft above sea level. It is one of the very few lakes in the state of Hawaiʻi. This photo was taken July 2016. Lake Waiau has returned to its normal size. In the recent years the surface area of lake Waiau has diminished in size, hitting an all-time low in October 2013. Since then, the lake has returned to its normal size. 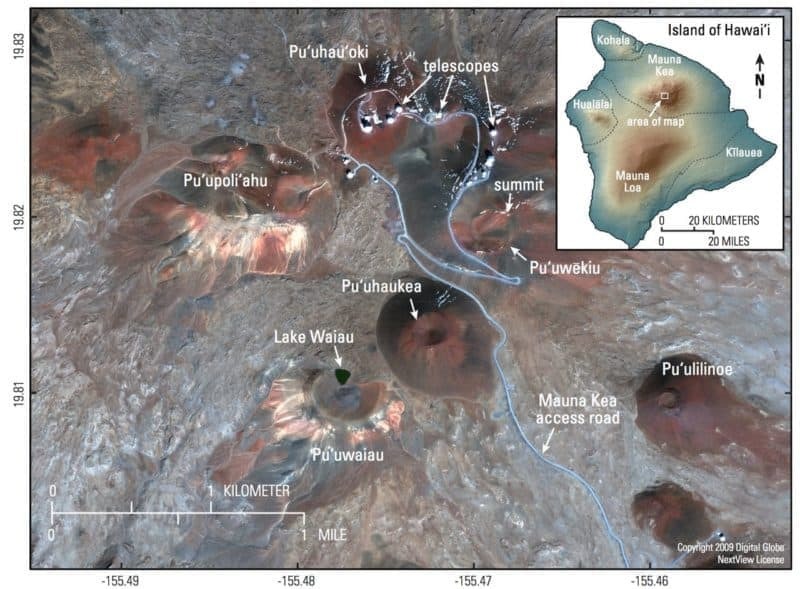 Recent research presented in the USGS 2015 report “Satellite Monitoring of Dramatic Changes at Lake Waiau on Mauna Kea Volcano—Hawai‘i’s Only Alpine Lake” [pdf] suggests that although the recent fluctuation in lake size has been extreme, its cause is rather commonplace: not enough rainfall. This is illustrated in Figure 8 of the report, which we have reproduced below, and with two photos taken in 2013 and 2016. 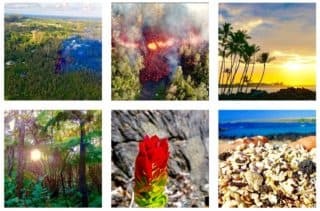 The report concludes that the severe drought, which has plagued the Hawaiian islands between ~2008 and ~2014, did not allow the lake to compensate losses from evaporation and seepage from the bottom of the lake. Lake Waiau is sacred in Hawaiian tradition and has cultural and spiritual significance to many Hawaiians. It is part of the summit of MaunaKea, which is considered the umbilical cord (“piko” in the Hawaiian language) that connects the Earth to the heavens. 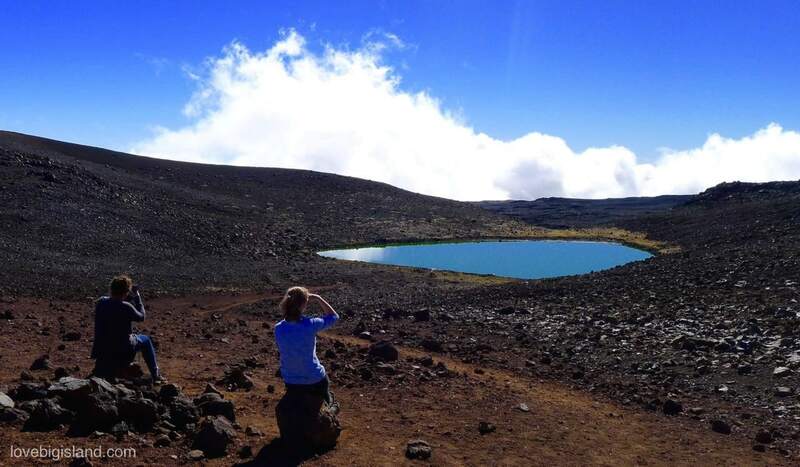 The lake is most likely named after Waiau, one of the four snow goddesses know in Hawaiian mythology. According to this mythology, Waiau used to bathe in lake Waiau. Read the story “Pele and the snow goddess”, which is translated e.g. here, for a deeper dive into Waiau and Hawaiian mythology. Explanations for *why* the water remains in the lake include either a layer of permafrost or soil-altering effects brought on by volcanic processes. Read more about these reasons here.